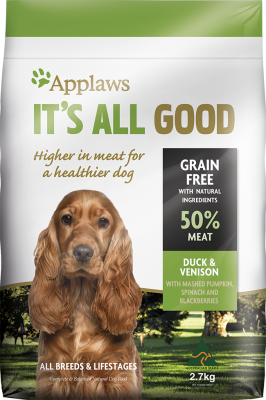 Duck Meal†, venison meal†, pea starch, potato, tapioca starch, chicken fat (preserved with mixed tocopherols and citric acid), flaxseed, fish oil, natural chicken flavour, salt, rosemary extract, dried tomato, apples, blackberries, cranberries, sweet potato, carrot, pumpkin, spinach, alfalfa, dried kelp, yucca, beet pulp (natural prebiotic), glucosamine, chondroitin, olive oil, lysine, vitamins (A, B1, B2, B5, B6, B12, D, E), biotin, folic acid, niacin, magnesium, iron, zinc, manganese, copper, mauri mos, calcium propionate. 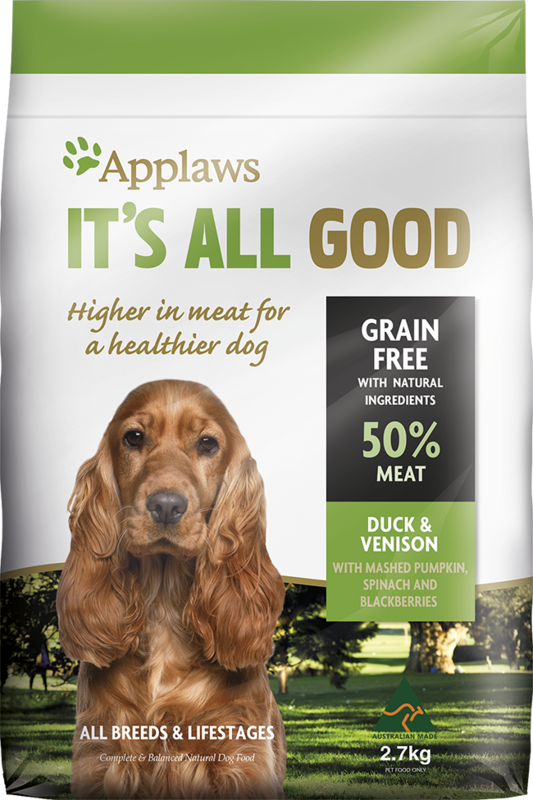 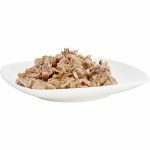 † A natural source of Glucosamine and Chondroitin. 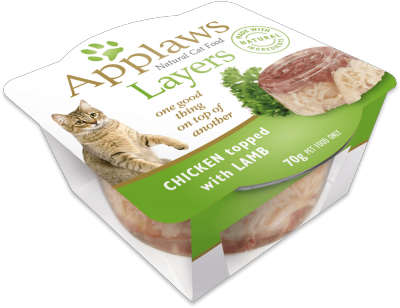 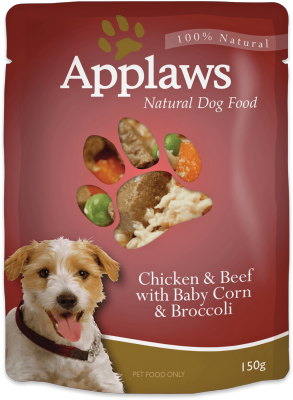 Applaws It’s All Good is made on equipment that processes a variety of animal protein.